Authentic Pilates is a safe, gentle movement and exercise technique. The Pilates Method utilizes specialized equipment with hands on instruction and a wealth of 500 structured exercises allowing instructor, Brigitte Ziebell, to tailor to the needs and capabilities of all ages and lifestyles. The Pilates work strives to teach people how to maximize their mind-body awareness through achieving balance, strength, and flexibility. Brigitte Ziebell studied with and was certified by Romana Kryzanowska (Romana trained directly with Joseph Pilates, the creator of the Pilates method of physical fitness) at the NYC Pilates Studio and NYC Pilates Guild in the 1990s. After her training, Brigitte went on to teach at the first Pilates Studio in Maine and later opened her own studio, Authentic Pilates, in Washington DC. In 2011, Brigitte returned to Maine where she continues to teach clients and train pilates instructors Authentic Pilates in Rockport, Maine. 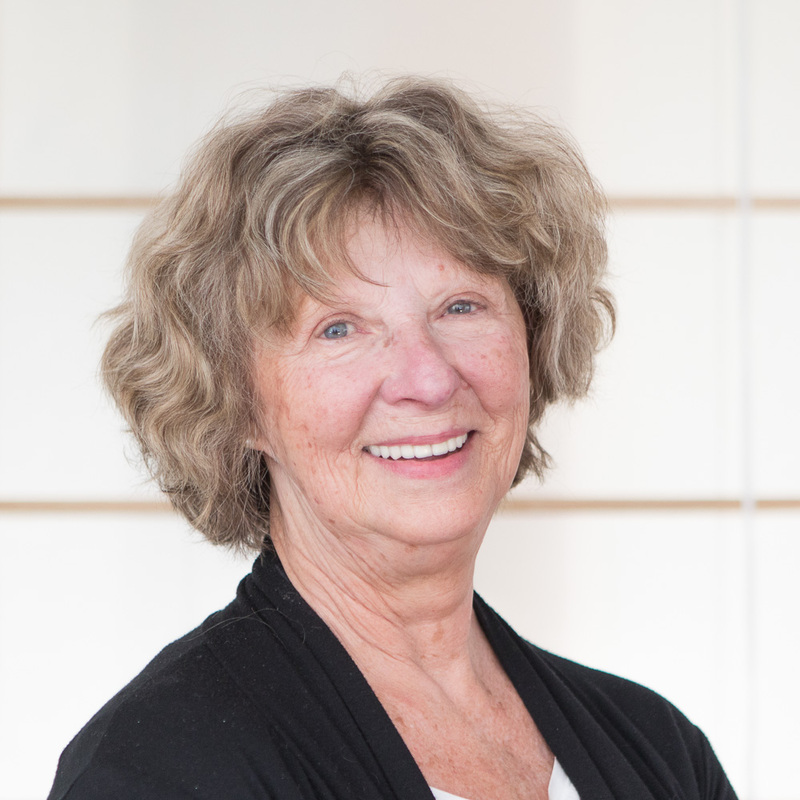 In addition to teaching Pilates to a broad and diverse client base, Brigitte has continued her studies of Pilates and related fields such as the Feldenkrais Method, Alexander Technique, Franklin Method and neuromuscular research, within the Pilates community in the United States, as well as in Germany and France. This background has given her a heightened understanding of the simple beauty, complex elegance, true effectiveness, and grace of the Pilates method. The Pilates Method transforms how our body looks, feels, and performs. What is learned in the studio has an impact outside of the studio by influencing and enabling us to move through every day life with strength, balance, grace, and ease, while avoiding stiffness pain and injury. Staying focused to make the crucial mind body connection! The hour long sessions I spend with Brigitte focusing solely on my body alignment and proper use of my joints is perhaps the best gift I could ever give myself. Her ability to observe and detect improper use of joints and muscles is an innate skill rarely found in those specializing in body mechanics. I always leave her studio with fewer aches and pains and a bit more pep in my step. Brigitte Ziebell's knowledge and understanding of the human body is quite extensive and impressive. One can tell her about any ache, pain or alignment issue and she can pick and choose from her wealth of knowledge of how to best help that client. 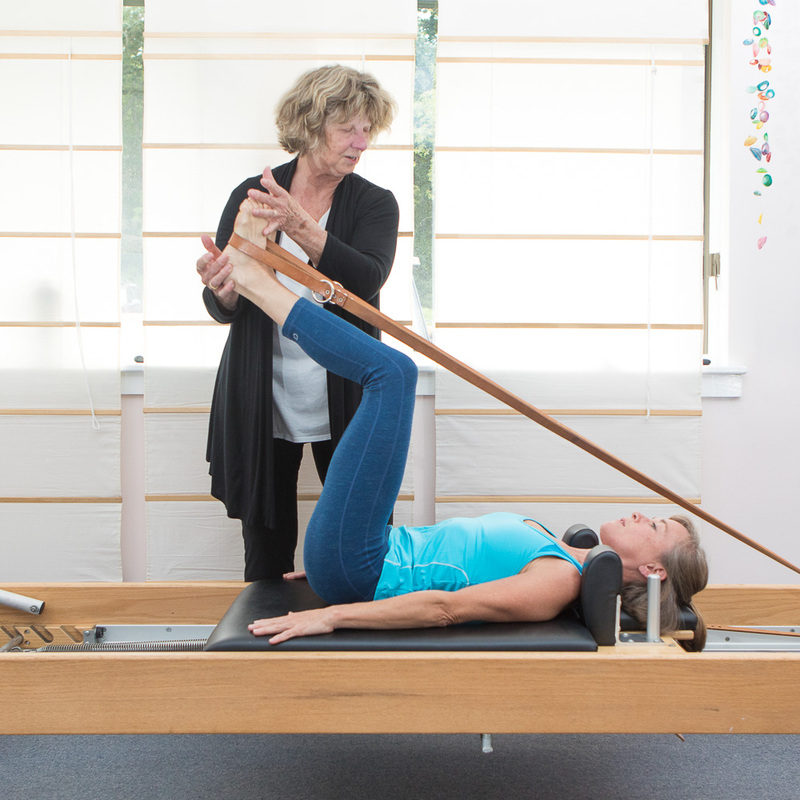 She is conscious and is passionate about Authentic Pilates. I have taken Pilates for 15 years and she is one of the best instructors I have ever had. She is an invaluable part of my life as she keeps me moving well. She is an asset to our community! Having two new knees, back and neck issues I am very careful and tentative about how I work out. Pilates has help me to be stronger, feel better, and stand taller. I have worked harder when I am in Pilates then in any other time in my life. Brigitte constantly inspires me to keep working on myself. Pilates workouts are tailored to my special needs and I always leave my sessions feeling better, stronger and energized. I love working with Brigitte...a very talented and extremely knowledgeable pilates instructor; she is also a friendly and fun teacher. Brigitte has help me to be very aware of my body and I always feel better when I see her. she comes very, very highly recommended. Brigette has had the advantage of being trained by a foremost authority of the official Joseph Pilates method. Her years of experience and vast knowledge of the human anatomy and proper movement allow her to truly customize each private session to any individual's needs and limitations. I have trained with Brigette for 6 years and appreciate her attention to details. She prioritizes using the proper muscle groups for each exercise rather than just completing the motion required. I always miss her valuable instruction when I return to my winter residence. Thank you so much for helping me with Pilates this summer. I can already see improvement in my flexibility and strength. But, I thank you even more for caring so much about me, wanting me to succeed and giving me advice. You have inspired me to work even harder in my dance career, making sure I understand my body. What can I sa... Thank you! Thank you! Thank you! There's no real way to express how much I value your teaching and I appreciate your direct approach. I have learned more from you than in all my years of practice, apprenticeship, and instructing. Thank you so much for your help with my Pilates education. I appreciate your wit and wisdom a great deal, and I have several important areas to focus on as I go forward.